As the sign says, Welcome to Colorful Colorado! Whether you’re on a beercation or are one of the more than 100,000 new residents to the Centennial State, let me tell you one thing right off the bat: We take our beer very seriously. 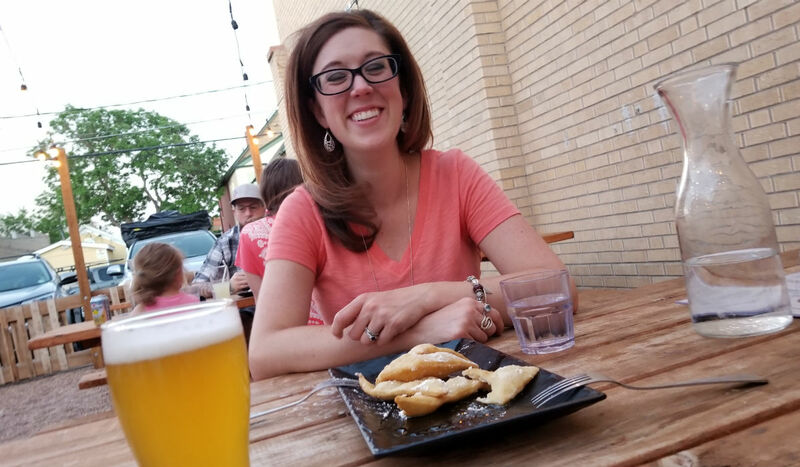 More than 300 small and independent craft brewers call Colorado home, and a savvy beer lover knows that there are craft beer experiences outside of the perennial beer powerhouses of Denver, Boulder, Ft. Collins, The Springs and so on. With Colorado hoppin’ both economically and beerwise, you should seek out Olde Town Arvada breweries. The town is one of the state’s easily overlooked craft beer gems. Pronunciation: are-vad-uh. Don’t be throwing a lazy “a” in there. “Vad” like dad or rad, like Colorado. Located seven miles from Denver and a half-hour from Boulder, Arvada is central to some of the state’s most vaunted craft beer strongholds. You’ll also find plenty of Old West history to boot. What is now the city of Arvada is near the site of the first documented gold discovery in the Rocky Mountain region. In June 1850, a gold prospector by the name of Lewis Ralston found a quarter ounce gold nugget in what would later be known as Ralston Creek. The next day, he and his pals packed up and headed to California. Eight years later Ralston and his group returned and many decided to stay near the creek Ralston originally found gold, sparking the widely-held ritual of the Californian pilgrimage to Colorado which we all know is still followed to this day. Today I’d argue the gold comes in the form of our breweries, all within view of the water tower. 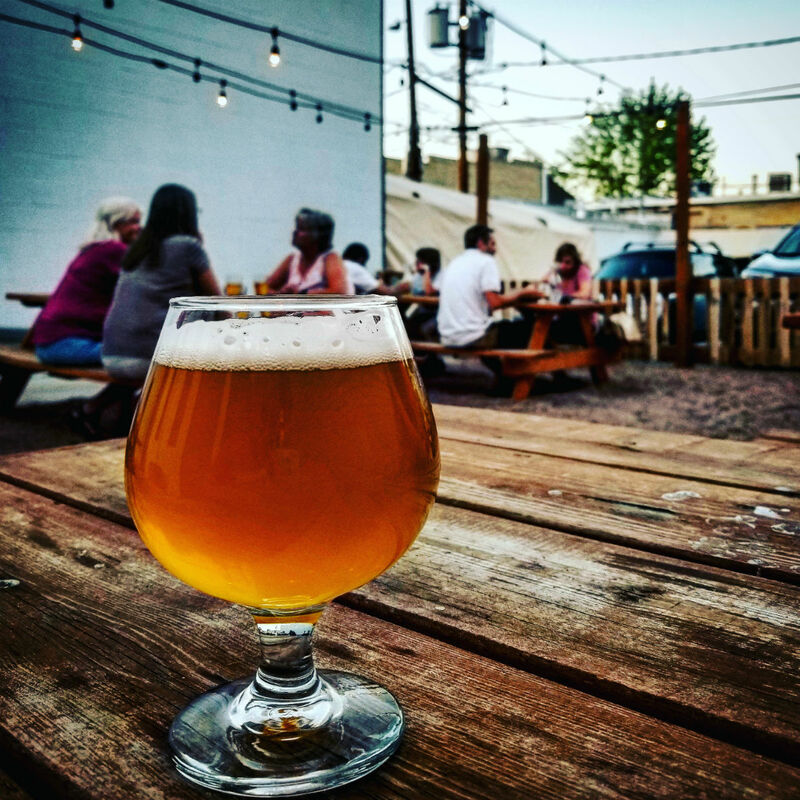 Here’s your walkable guide to Olde Town Arvada breweries and craft beer destinations. Ralston Creek’s connection to Clear Creek and the town west of Arvada, Golden, made it very much a Coors town when I moved to Arvada. At the time, Arvada had one brewery, Yak & Yeti, formerly the Cheshire Cat. It’s located across on Ralston Rd., just a smidge outside of the Olde Town district. The Yak is a picturesque (and many believe haunted) house turned Indian, Tibetan and Nepalese restaurant. 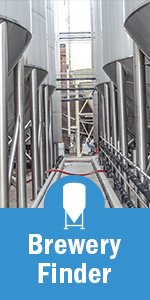 The brew system, leftover from the Cheshire Cat, is crammed into the basement forcing brewers over the years to navigate steep stairs. Brewing is a challenge. An expansion is impossible. If amazing Indian food isn’t your thing, you can hop across the street to 4 Barrel BBQ for some Meleguta Wings, a giant tray of pork rinds, or the Arvada Hash, which is a pile of grilled smashed tater tots smothered in green chili and pulled pork. Grab an Upslope Craft Lager to wash it down — especially the wings; you should probably ask to test the heat level of the Meleguta sauce before you commit. If you follow Yukon Street south, New Image Brewing sits a block and a half away. There you will find some of the most exciting beers in Colorado right now. The brewery has been making waves with kombucha blended saison, complex high gravity sippers and an increasing array of hazy pales, notably East Coast Transplant, a reminder of the state’s current influx. Despite the increase in breweries and bars, Capps likes that the town has remained true to its historical district demeanor. New Image’s aforementioned cocktail program and menu fits nicely with a Flora or Dyad at their communal tables. 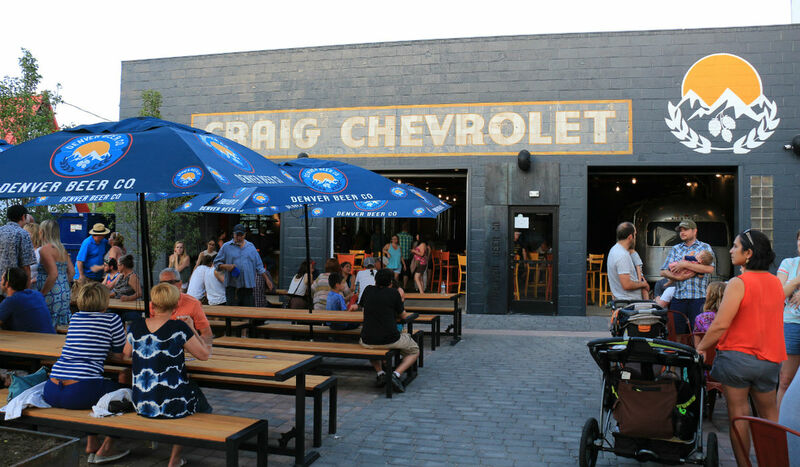 Once settled up, you can depart through their beer garden in the back into the alley and continue on your conquest of Olde Town Arvada. Reaching Olde Wadsworth, you’d likely be drawn to the flickering torch lights or live music from the upstairs of Arvada Tavern, which is another great place for food, craft beer and to marvel at the highly-trained bartenders. Their sister pub, Kline’s Beer Hall, in the old D-Note, is a more beer focused experience with an impressive long draw system serving up local and regional craft beers to go with house-cured sausages. You’ll find Kline’s off of Grandview, but keep your eye on the prize because you could get distracted by Homegrown Tap & Dough‘s equally impressive draft selection or Scrumptious candy shop for ice cream. If you weren’t certain of Arvada’s rising beer stock, the grand opening of Denver Beer Co. in the former Chevrolet dealership on Olde Wadsworth is a defining boon to the beerscape. 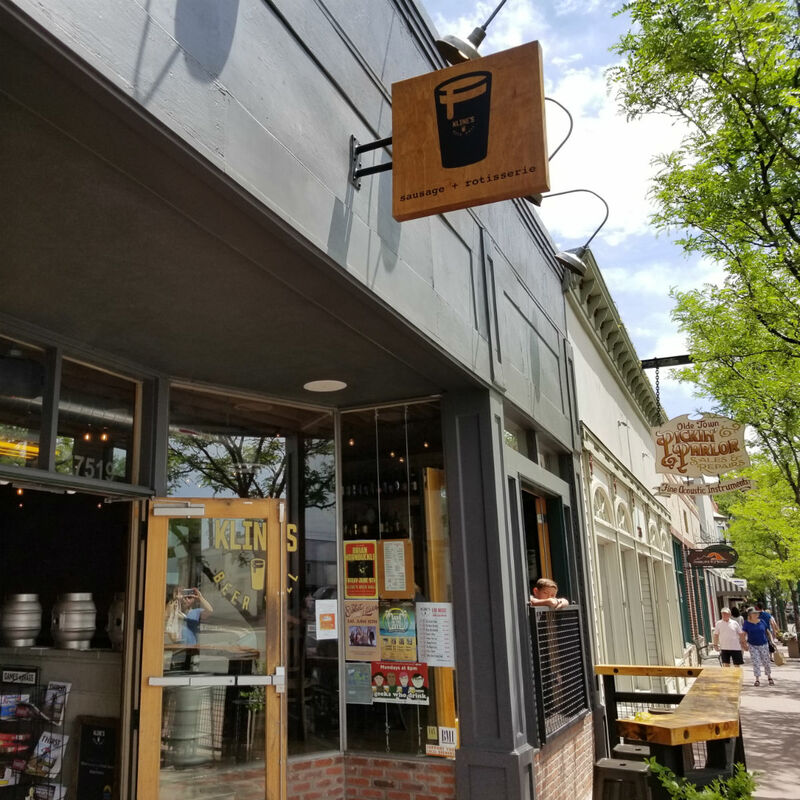 Co-owners Charlie Berger and Patrick Crawford came upon the building when they were walking through Olde Town after scouting equipment from the defunct Arvada Beer Co. They didn’t end up purchasing ABC’s equipment, but the two came upon the old building and saw the potential. Crawford and Berger promise Denver Beer Co. fans can expect DBC’s core favorites like Raspberry Princess Yum Yum and Graham Cracker Porter, but recognize that Arvada will be different from their Denver location. They anticipate adventurous palates in Olde Town and are excited to showcase a new strawberry kettle sour at their grand opening in mid-June. 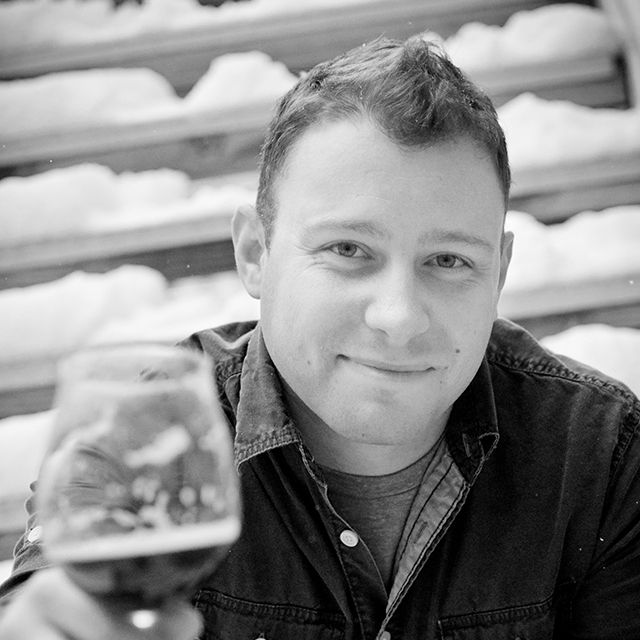 Denver Beer Co. Olde Town is fitted with a seven-barrel brewhouse to craft tasty ales and lagers by DBC newcomer, Paul Papantonio, and under the leadership of Denver Beer Co.’s Head Brewer Jason Buehler, who continues to oversee brewing operations. If this seems like a lot of walking, I’ll point out that from The Yak to Kline’s you would have only travel by foot no more than .4 miles! Olde Town Arvada is dripping with fantastic beer and food destinations, and we haven’t even mentioned the amazing breakfast options like the best donut shop that no one knows about — OMG’s Donuts — or the Bluegrass which serves coffee and breakfast burritos in the morning and then turns into a craft beer/bourbon/pizza joint with live bluegrass. It’s just a few more steps from Kline’s. I’d suggest experiencing Olde Town Arvada before everyone finds out about it, but you might be too late. (No, not because of the G-Line Light Rail stop — that’s still delayed.) 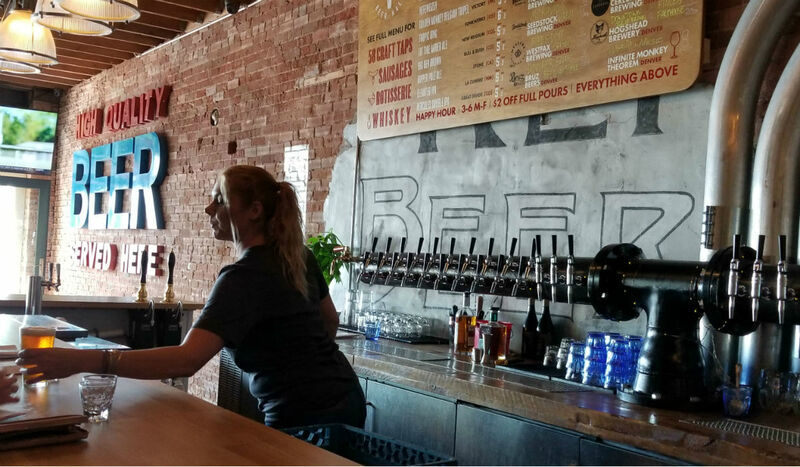 Denver Beer Co.’s Arvada new location means there’s no stopping the Olde Town craft beer hype. If it gets too crazy you can ride your bike to Odyssey Beerwerks and then down to SomePlace Else Brewing. Grab a ride share to Wheat Ridge for Colorado Plus or Brewery Rickoli’s. You can jump on I-70 East to head to Bruz Beers and then back to all that Denver has to offer. Or you can go west on I-70 to Golden for the likes of Cannonball Creek, Barrels and Bottles and even more Golden breweries (six) all within 10 miles of Olde Town Arvada. Even with the sheer number of opportunities of places to find a craft beer in and around Olde Town, the area has retained its charm. As the great white blob of the Highlands envelops Wheat Ridge and sets its sights on Arvada, the hope is that the district will keep some semblance of that feel. Colorado is known for its craft beer and lots of it, but just like selecting your next pint, being discerning about where you go yields a memorable beer experience. The next time you’re prospecting for new breweries to check out, set a course for the Olde Town Arvada water tower, the waypoint of one of the Centennial State’s hidden craft beer nuggets.